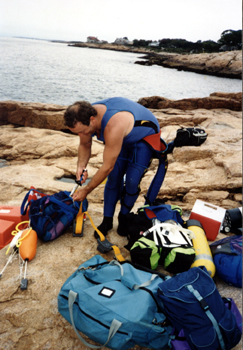 My name is Don Ferris, and over the past 40 years, I have trained over 2500 people to scuba dive on Cape Cod. While doing so, I literally wrote the book on scuba diving on Cape Cod, (four books actually) ‘Exploring The Waters of Cape Cod’, ‘Beneath The Waters of Massachusetts Bay’, ‘Beneath The Waters Of Cape Cod’ and my newest book, “Cape Cod’s Anthology of Shipwrecks” . 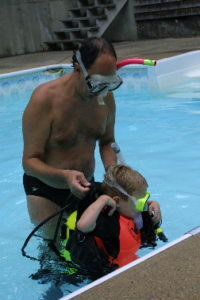 I believe Scuba instruction should be as fun and easy, as diving itself. You should truly enjoy your training, not just “get through it”. The key is to learn and train with a real diving expert. Someone who can help you achieve your underwater goals in a safe, fun, and time efficient manner. Frequently Asked Scuba Certification Questions. The fundemental skill of being underwater is simple, Swim, Kick, Breathe, Repeat. But there is a lot that can go wrong, as one woman told me after her first lesson, “You’re not really teaching me how to scuba dive, you’re teaching me how not to kill myself 100 different ways”. I call this the “What If” list. What if, you lose your air supply, what are your choices? What if, you cant find the boat’s anchorline at the end of a dive? Don’t be fooled by cheap, learn to dive prices. There is an enormous difference in scuba instructors. It’s critical you learn the sport from someone who really cares if you become a good diver, not just another “certification” so they can sell you some dive equipment. I don’t sell equipment – I just teach scuba diving. Just How Safe Is Scuba Diving? I learned to scuba dive when I was just 12 years old. I grew up diving the fresh water lakes of Wisconsin and Minnesota and the deep water shipwrecks of Lake Superior and Lake Michigan. I worked in the tropics before finally moving to Cape Cod in 1983 and falling in love with the local shipwreck diving. For more than three decades I explored every area of the Cape underwater, both salt and fresh waters. • PADI Master Instructor M-11401 Over 2500 students certified. • Medic First Aid Instructor Trainer – Adult, Pediatric and Auto Defib. Over 10,000 students certifed. 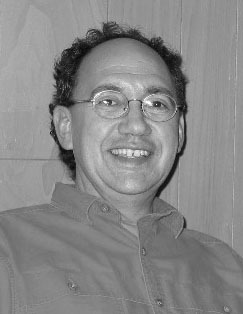 • Over 50% of my student certifications isssued are for Advanced or higher levels of training. • Dive Trainer for many local fire departments including Hyannis, Yarmouth, Orleans, Chatham and Harwich MA. Other instructors just seem to hand out certification cards – we don’t. During any of our courses, you will work, dive, and study hard, but when you are through, you’ll experience a wonderful feeling of diving confidence. A confidence that comes from really knowing your stuff. All of our programs are taught in very small groups or most often, one-on-one – this ensures you are getting the attention you need and deserve! We don’t teach the most students – just the best.